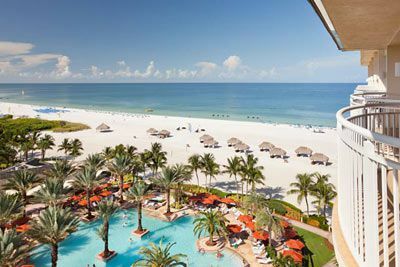 Marco Island is home to some of the world’s most beautiful beaches and offers access to both the Gulf of Mexico and the mangrove-lined estuaries of the Ten Thousand Islands. 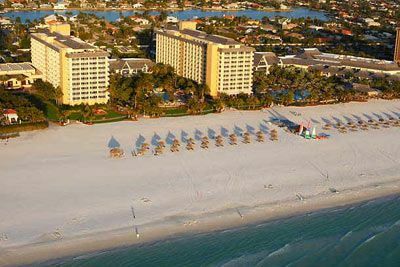 2014 TripAdvisor’s Travelers’ Choice awarded Marco Island #1 Island: US and #4 Island: The World. You can’t get any better than that! There is so much to do and see—fishing, boating, shelling, shopping, golf, tennis, galleries, museums, and more. Visitors can explore uninhabited barrier islands blanketed with more than 400 types of seashells. Fish among mangrove islands, cast into the surf or offshore reefs. Rent a boat for a day or take one of the many sightseeing boats and shelling tours. 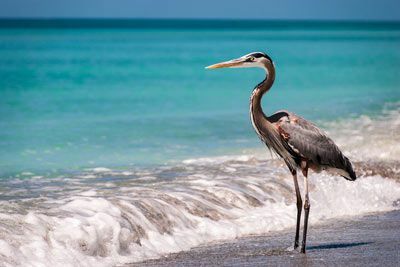 Frolicking dolphins welcome you as do more than 200 species of birds, including the American bald eagle, and the endangered West Indian manatee. 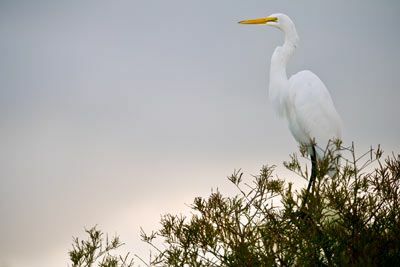 Tour the wild wetlands of the Florida Everglades and canoe along uninhabited islands. Explore by bike or car and discover Marco Island’s past as a secluded hideaway for Indians, pirates, and famous explorers. For the golf enthusiasts, it is important to mention that Naples, Marco Island & the Everglades was just announced as the North America Golf Destination of the Year for 2014 by the International Association of Golf Tour Operators (IAGTO). All of these great activities will build your appetite to enjoy the dozens of finest one-of-a-kind restaurants anywhere. Getting to Marco Island is easy. The Southwest Florida International Airport (RSW) is located about an hour north; Palm Beach International (PBI), Fort Lauderdale International (FLL) and Miami International Airports (MIA) are within a two-to-three-hour drive. 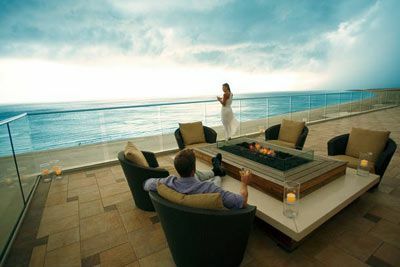 Like no other resort in Southwest Florida, JW Marriott Marco Island Beach Resort is the perfect island within an island escape. Here you'll find a renowned vacation playground that opens guests up to the world around them and creates an authentic sense of place. 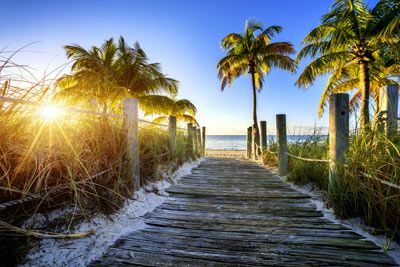 Situated on a sprawling private white sand beach along the tranquil waters of the Gulf of Mexico, the enchanting ecosystem of the Florida Everglades is at our doorstep and provides myriad opportunities for exploration and adventure. Experience true luxury in newly renovated guest rooms, delight in locally sourced menu selections and interactive food and beverage experiences, and find balance, health, and harmony at the Spa by JW®. Following a $320 million renovation, this resort pays homage to the Balinese-inspired Marco Island heritage and provides travelers with everything they need. Two private 18-hole championship golf courses, three swimming pools, 10 restaurants, an array of recreational activities, and a children’s Tiki Tribe camp deliver endless opportunities for relaxation and fun. Run of House guest rooms feature 1 King or 2 Queen beds (based on hotel availability), balcony, flat screen TV, mini-fridge, coffee/tea maker, safe, hair dryer, iron/board, and more. 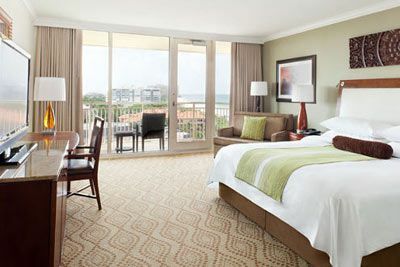 Located 20 minutes south of Naples and just a 50-minute drive from Southwest Florida International Airport; JW Marriott Marco Island Beach Resort is the ultimate sanctuary for relaxation and rejuvenation. Certified Registered Nurse Anesthetists: This program has been prior approved by the AANA for 24 Class A CEC; AANA Code #1035298; Expiration Date 2/18/18. $100 December 17, 2017 to January 16, 2018. No refund after January 16, 2018; however, 50% of tuition paid may be applied toward tuition for another NWAS program within the next 12 months. Cancellation must be made in writing.